Dr. Lawrence J. Lesko is Professor of Pharmaceutics and Director of the Center for Pharmacometrics and Systems Pharmacology in the University of Florida College of Pharmacy at Lake Nona (Orlando). Dr. Lesko was Director of the Office of Clinical Pharmacology in the Center for Drug Evaluation and Research at the Food and Drug Administration (FDA) for 16 years until his retirement in July 2011. At the FDA, Dr. Lesko led the advancement of personalized medicine through the update of labels of previously approved drugs with new genetic information. 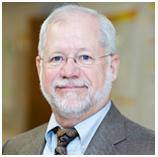 Dr. Lesko co-authored numerous Guidance for Industry including “Clinical Pharmacogenomics: Premarketing Evaluation in Early Clinical Trials” and “Pharmacogenomics Data Submissions.” He also started a Division of Pharmacometrics that is responsible for quantitative analysis of dose-response and PK-PD relationships to support drug labels and New Drug Application (NDA) approvals, and the development of drug-disease models to support clinical trial simulations. Dr. Lesko also led a program involved with mechanistic approaches to understanding drug safety including the prediction of off-target effects using bioinformatics approaches. Dr. Lesko has published more than 200 peer-reviewed manuscripts and is a frequent invited national and international speaker. In 2011, he received the Gary Neil Prize for Innovation in Drug Development from the American Society of Clinical Pharmacology and Therapeutics (ASCPT). Dr. Lesko also was honored with the Rawls-Palmer Progress in Medicine award from ASCPT, the Coriell Scientific Leadership Award for Personalized Medicine, the University of North Carolina Institute for Pharmacogenomics and Individualized Therapy Award for Clinical Service, and the Nathanial B. Kwit Distinguished Service Award for Clinical Pharmacology from the American College of Clinical Pharmacology. His hobbies include riding motorcycles and underwater photography. He is a Divemaster certified by the Professional Association of Dive Instructors.